Why Buy a Used Car Instead of New? Our used car sales associates wanted to help you to get the right pre-owned car that fits your total budget and lifestyle expectations. Here are a few buying tips to make certain you get the best possible deal. The big advantage to buying a used vehicle is you can review the vehicle history reports to really see what this vehicle has been through. If the vehicle was in an accident or suffered flood damage, then you will see it in these reports. When you buy a used vehicle, the dealer is able to offer you favorable financing. Because there is more room to wiggle with the price, the dealer is able to create a financing package that will help you save money over the term of the loan and not put a strain on your finances. 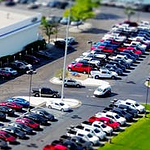 At Perkins Motor Plex, we have plenty of used cars to choose from that are both reliable and affordable.